A first attempt at rendering Jenna. 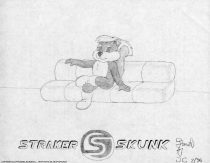 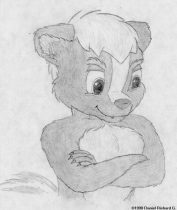 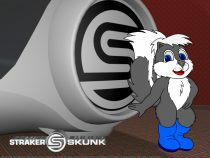 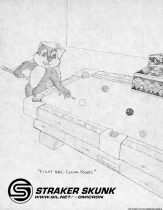 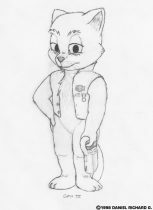 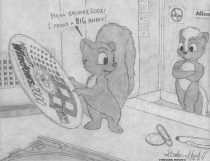 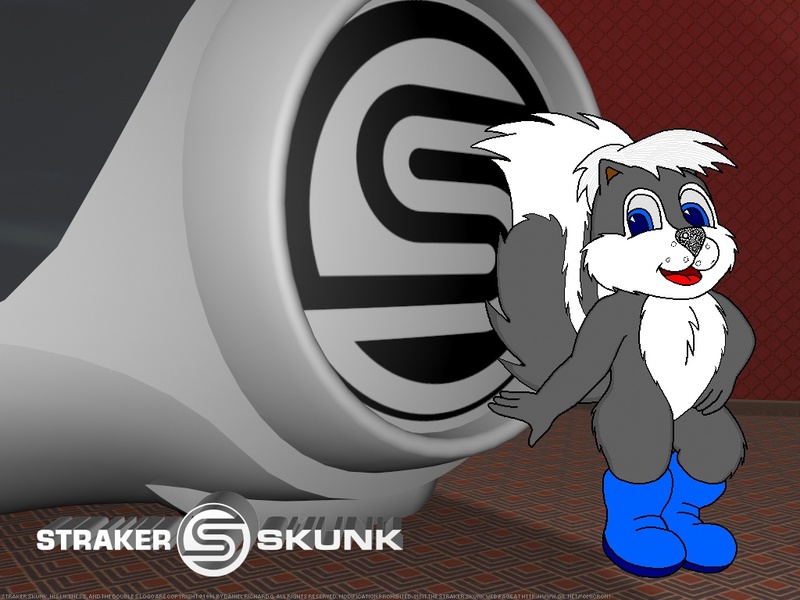 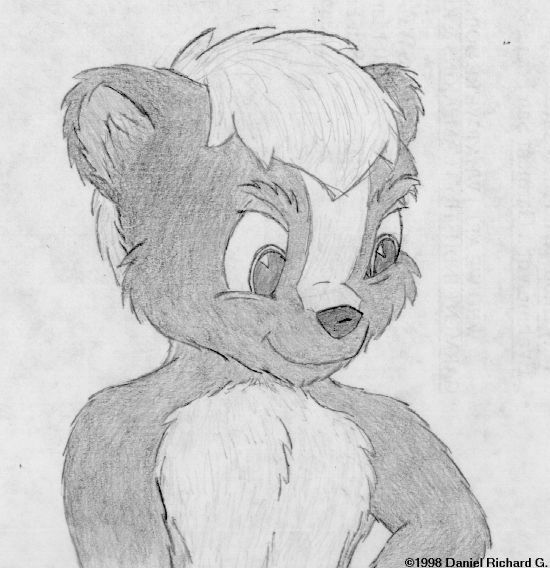 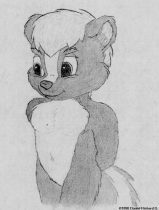 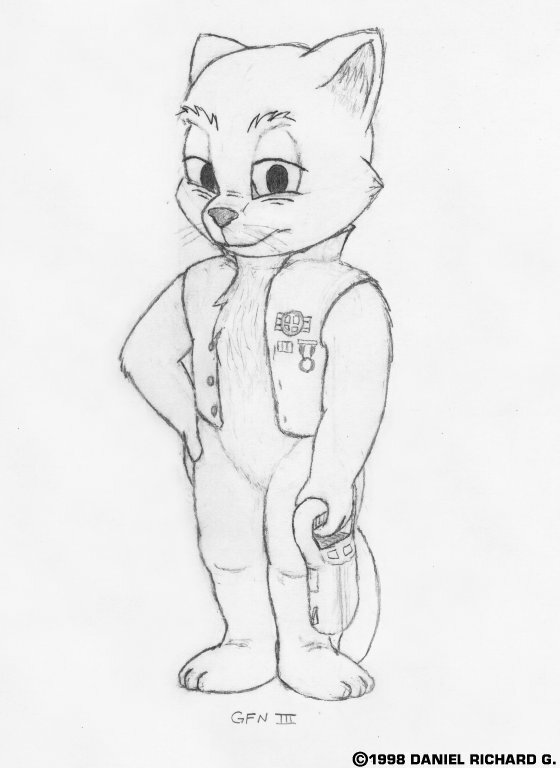 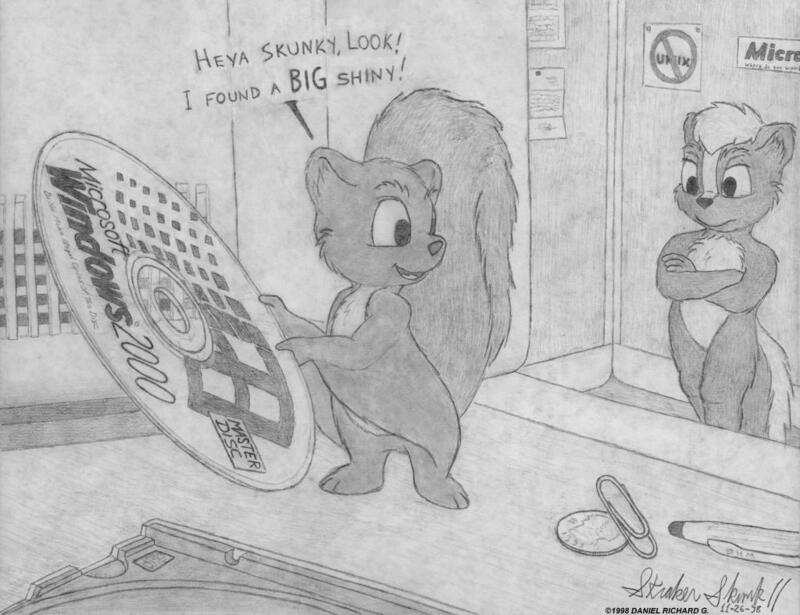 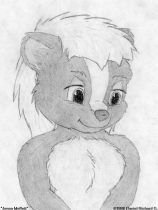 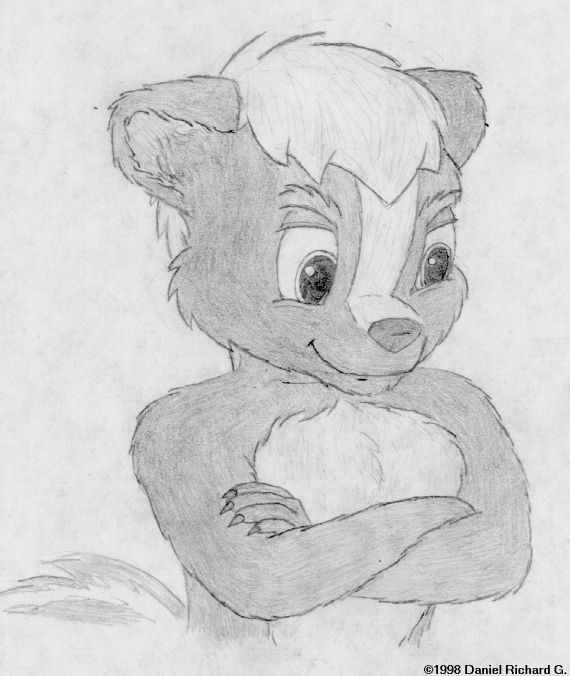 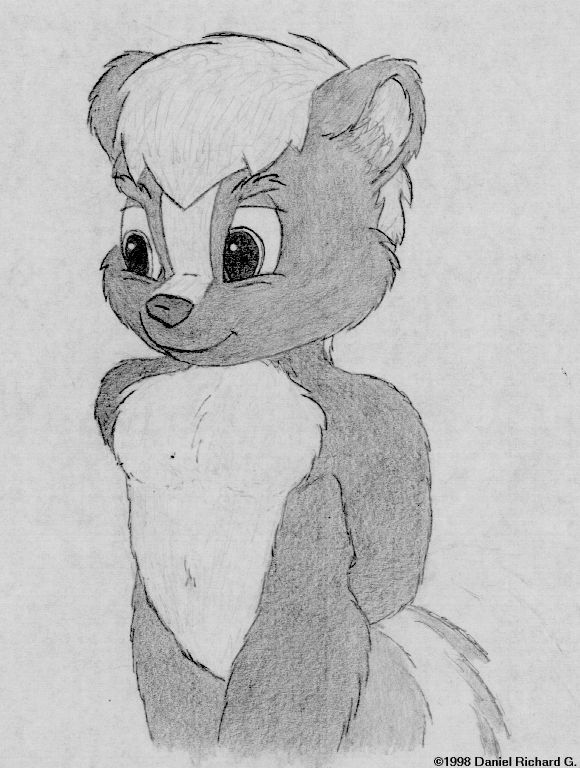 Jenna Moffett, a Mobian skunk, as seen in DOUBLE STRIPES. 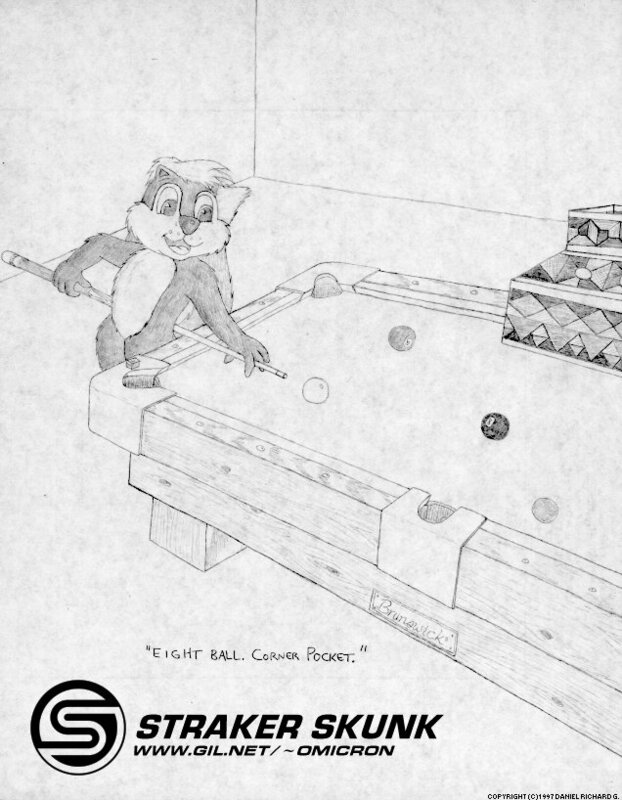 He's got his eye on you . . . .
A skunk's favorite pool shot! 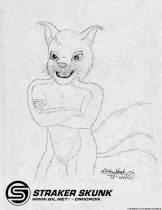 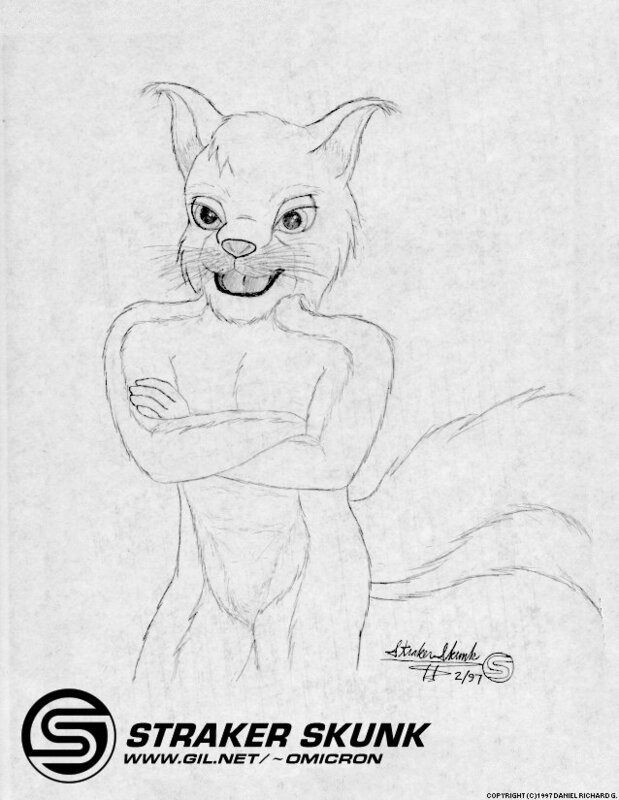 One of my furst self-portraits. 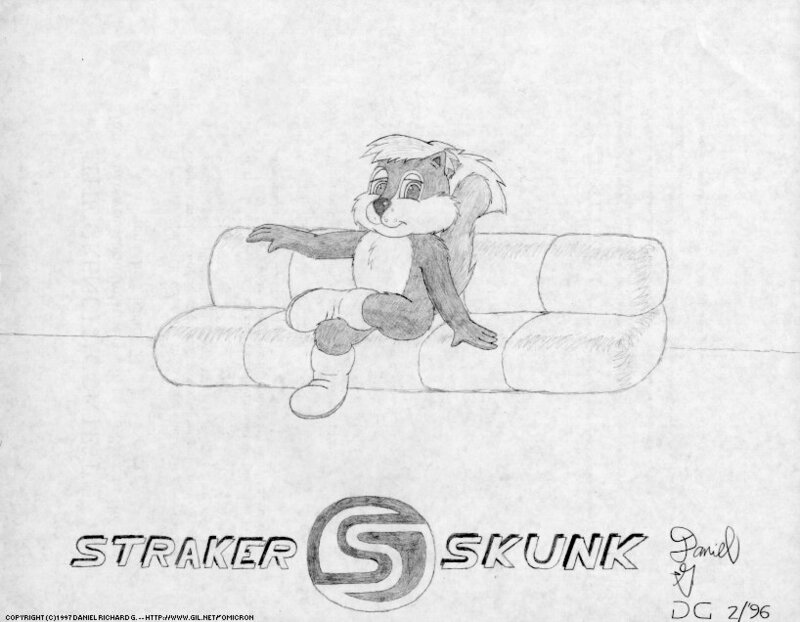 Just me, reclining on a couch.